VBKÖ – Vereinigung bildender Künstlerinnen Österreichs invites you to send in a proposal for our annual program for 2019. 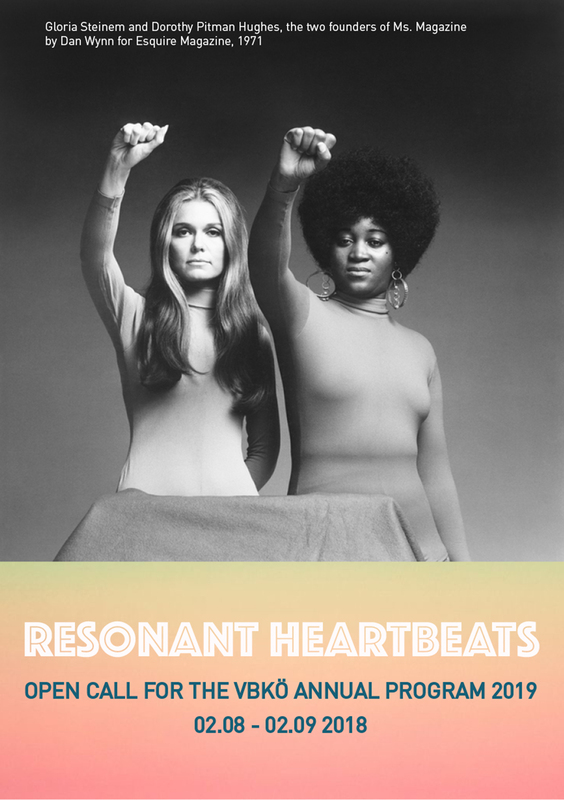 We have selected a theme that we find intrinsic to collaboration and community.“Resonant Heartbeats” speaks to the enduring heart of feminist movements and the fight for equality, that has echoed across space in time, and multiplied within other groups and movements. How does networking then strengthen feminist artistic practices? What does networking mean in 2019? How can we support each other to work actively against discrimination and for a pro-feminist artistic everyday? As a queer-feminist association we welcome proposals for exhibition projects, screenings, performances, workshops, lectures and other artistic practices. We welcome group proposals as we don’t support solo shows or individual presentation formats! Please take note of the requirements, incomplete applications will not be considered.